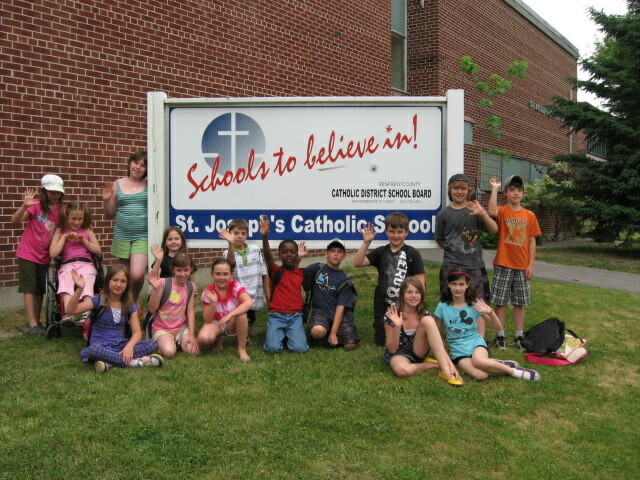 Catholic Education Week begins on May 3 and this year there are once again original and engaging activities for students and school communities. **The following message was sent several weeks ago to all CDSBs – it is being published here as a reminder to all boards. 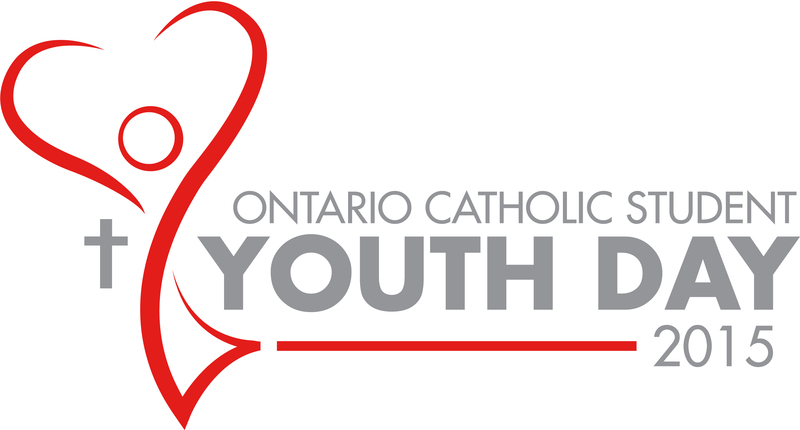 This year the Catholic Board Council (CBC) of the Ontario Student Trustees’ Association (OSTA- AECO) has decided to establish, as their main project for the year, the organization of province-wide Masses held during the launch of the first ever Ontario Catholic Student Youth Day. 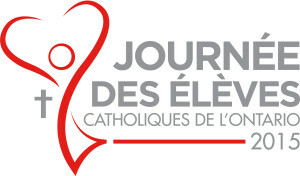 This province-wide endeavour envisions a Mass being held in every high school (or board) on May 7th , 2015, during the Ontario Catholic School Trustees’ Association’s Catholic Education Week. 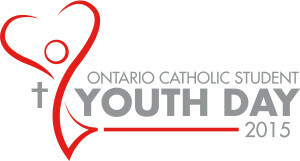 This province-wide Mass initiative was very successful during Catholic Education Week in 2014 and we are building on that success by designating the date of the province-wide Mass as Ontario Catholic Student Youth Day. 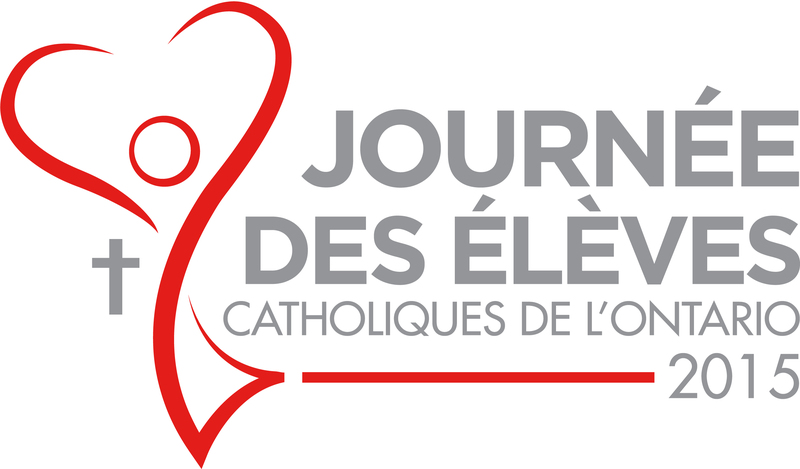 A new logo was developed to reflect the significance of this special day of unity, worship, evangelization and recognition of Catholic youth. That logo is featured at the top of this letter. To help promote this day, if you are active on Twitter and other social media, please use the hashtags #OCSYD and #CEW. To support consistency in our celebrations across the province, the Catholic Board Council has provided an outline for this special Mass (download here). Prior to the Mass, schools will receive DVD’s with video messages from their local Bishop/Archbishop which can be played before Mass begins. These video greetings have been recorded in advance and will be provided to each Catholic school board. NOTE: these video greetings are also on the OCSTA website and can be downloaded here. We, the Catholic Board Council, thank you for your continued support of the power of the Catholic student voice, as nurtured and informed by our teachers, principals, trustees, directors of education, bishops and parish priests. If you have any questions, please do not hesitate to contact us. 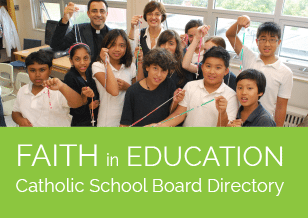 The Catholic Board Council represents the interests of Catholic student trustees at Ontario’s Catholic District School Boards. Two school resource kits containing classroom activities, prayers and resources have been prepared – one for the elementary level and the other for the secondary level. We invite you to visit the Catholic Education Week page on this website to download this material. In preparation for Catholic Education Week, the Catholic Education Week committee has put together a Social Justice Activity Guide to help secondary school students to prepare in advance for the social justice activities they’ve been asked to facilitate. Ideas for social justice activities are in the Links for Social Justice Activities document that can be downloaded from this website. To review all the documents available for download visit the Catholic Education Week resource page. For more information about the Business Seminar or to register, please visit this page. OCSTA’s 85th Annual General Meeting and Conference is almost here and it happens April 30 – May 2 at the Sheraton Hotel and Conference Centre – Toronto Airport. How does the apostolic leadership, the pastoral style, and the vision of Pope Francis affect the way Catholic education is understood by those who lead it on behalf of the Church? In her presentation, George Brown College president Anne Sado will discuss how the post-secondary learning landscape is changing and how colleges have evolved to be not only relevant, but critical, to the needs of our economy. Serving the students of today and tomorrow will require innovative approaches and partnerships. From secondary school partnerships to innovative uses of technology to experiential learning, join Anne to learn more about the possibilities of the dynamic college sector. Max Valiquette – “Millennials, Technology and the Human Factor.” Max is an innovation and Trends expert and also the founder of Youthography, one of North America’s foremost youth-research and marketing firms. For more information on workshops, other sessions, registration and accessing the convenient “OCSTA Conference App” visit the 2015 OCSTA Conference page. Board of Directors across all sectors and industries, and trustees who are considered members of a board, are responsible for the oversight and governance of risks that could jeopardize the ongoing viability of the organization. Workplace health and safety is increasingly recognized as a risk category that requires board level attention in private, public and not for profit organizations in Canada. As such, there is a critical need to manage Health and Safety as any organizational risk with formal oversight. Recognizing the need for increased leadership engagement and education in the area of health and safety, Public Services Health & Safety Association (PSHSA), a transfer payment agency of the government of Ontario, built a 30 minute eLearning module for Board of Directors. The eLearning module introduces Board members to the idea of health and safety as one of many critical organizational risks that must be managed and mitigated through formal oversight and demonstrable due diligence. The module will assist trustees in improving the quality of health and safety in catholic school boards. This initiative is part of PSHSA’s work to advance health and safety prevention in the education system. PSHSA has a dedicated consultant team that provides occupational Health and Safety training, resources and consulting to reduce risks and prevent workplace injuries and illnesses in school boards, colleges, universities and private educational institutions. In addition to encouraging curiosity and discovery, educational environments must also be a place of safety where hazards ranging from workplace violence and ladder safety to exposure to chemicals as well as slips, trips and falls are managed and mitigated. The impact of occupational injuries and illnesses can be minimized when trustees and leaders take a proactive approach to health and safety. Acting as a leader by encouraging your teams to formalize mechanisms to manage and monitor Health and Safety as well as increasing attention to this area will mitigate risk, reduce injuries, illnesses and fatalities for Catholic Boards. PSHSA’s eLearning module can be found at: http://www.pshsa.ca/product/health-and-safety-for-board-members (the fee for the module is $49). PSHSA is a not-for-profit association created by the amalgamation of three respected health and safety leaders – the Education Safety Association of Ontario (ESAO), the Municipal Health and Safety Association (MHSA) and the Ontario Safety Association for Community and Healthcare (OSACH). With long legacies as leading providers of health and safety information, products and services, these organizations were trusted advisors for thousands of clients across Ontario. 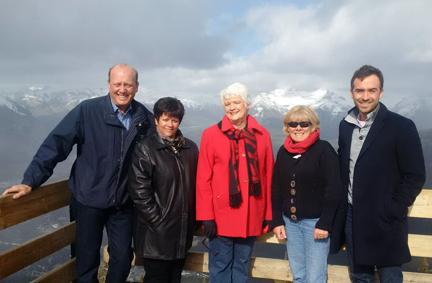 The Ontario Association of Parents in Catholic Education (OAPCE) will be holding their 2015 Conference and Annual General Meeting May 29-30 in beautiful Pembroke, Ontario. The theme for OAPCE’s 2015 Conference is “Poor No More.” Sessions and workshops will explore the different forms of poverty (from the financial to the spiritual) and examine ways to relieve it. For more information about the program and registration please visit www.oapce.org. Working Together for Ontario’s Students: (l.-r.) George Zegarac, Ontario Deputy Minister of Education; Melinda Chartrand, VP, l’AFOCSC; The Hon. Liz Sandals, Minister of Education; Kathy Burtnik, President, OCSTA; and Howie Bender, Minister of Education, Chief of Staff. Learn about the benefits of an athletes’ retreats program, as explained by Hamilton-Wentworth CDSB teacher, Sandra Moretuzzo in this feature story. Historic moment – new Canada Map unveiled by Minister of Natural Resources, The Hon. Greg Rickford at Kenora CDSB school.